Mamadeva believes that there is no room for us or anyone between you and your god. 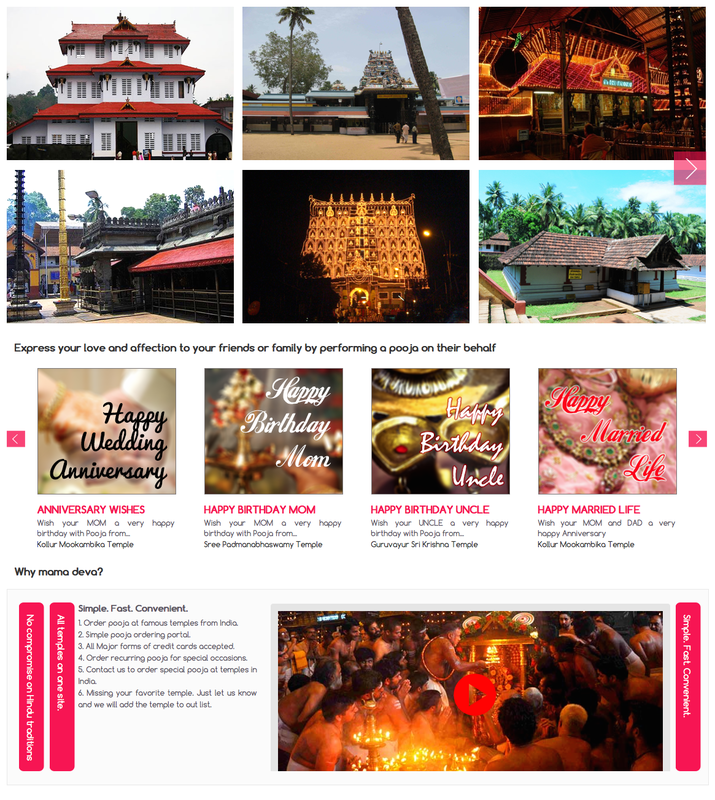 Mamadeva connects you to your favorite temples. You connect with your god. Express your love and affection to your friends or family by performing a pooja on their behalf. One Team US, LLC had successfully converted their previous website into Magento eCommerce platform for easy purchase function and checkout system integration. 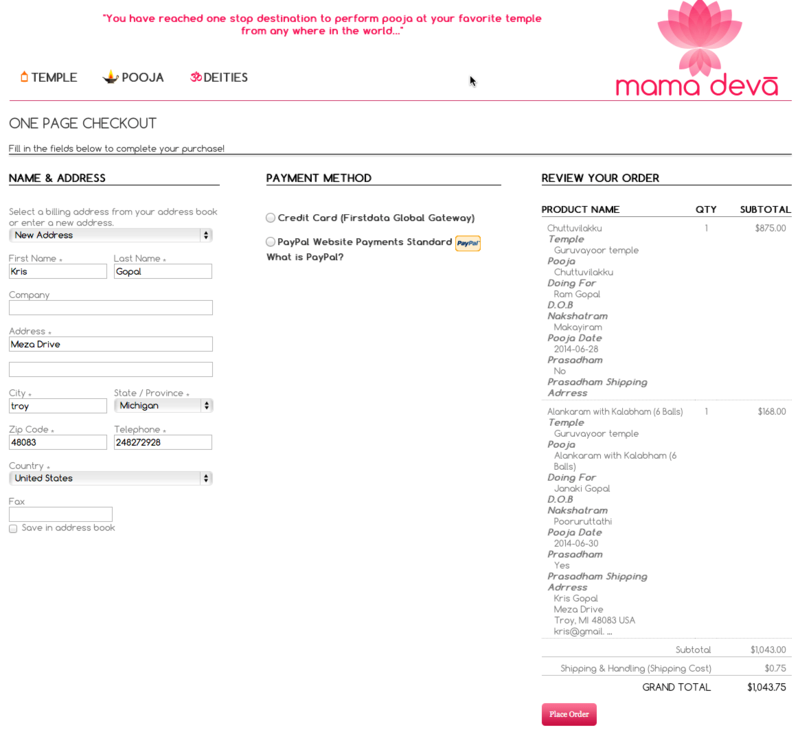 The payment method was secured and well monitored by the admin. Admin Setup allows user to generate Multiple Custom Landing Pages easily.